Insurance Companies Pay 100%…Your Customers Pay $0. On a typical work day a potential customer will call you for a quote to fix a break on his/her windshield. You can quote them and hope they agree to use your shop. Or you can inquire about their auto insurance coverage first. 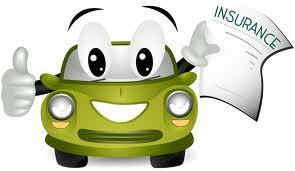 If they have comprehensive coverage most insurance companies will waive their deductible and pay 100% for the repair. The repair is FREE to them. Free is a pretty easy sell. Everyone likes free. With a simple phone call the insured can get the claim setup and assigned to your shop. You do the work and bill the insurance network handling the claim and your customer will appreciate the fact that you took the extra effort to save them money. I mentioned before that most insurance companies offer to waive the deductible for a windshield repair. State Farm is one exception. They will only pay for a windshield repair if the deductible is $0. They will not waive a deductible as the other insurance companies will. So you should first find out if you’re talking to a State Farm customer before telling them they can get a free repair. So there you have it, another great incentive for your customer to take care of their windshield problem sooner rather than later.